A nice little village situated in a sheltered bay, Kranevo is 25km north of the city of Varna. 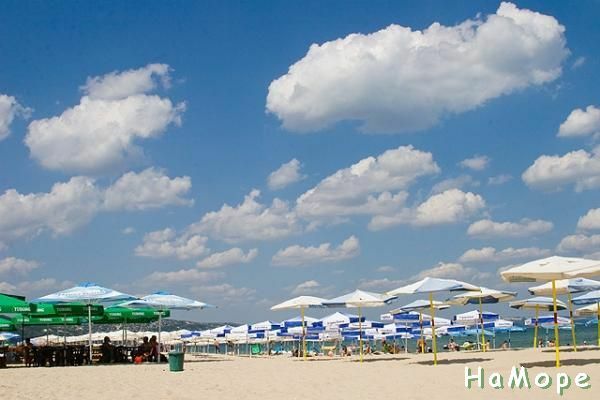 It lies just beyond the northern end of Golden Sands and at the southern part of a long beach, which extends towards the luxurious resort of Albena to the north. The vast beach, clean sea, gently sloping sea bottom and curative mineral water have propelled the swift growth of the village into a competitive tourist destination. Kranevo has succeeded an ancient Roman stronghold, known as 'Ekrene' or the harbour 'Kraneia'. Traces of the Roman fortress, which was exploited during the Middle Ages as well, have been found on the southern plateaus above the village.